Bring Your Boat, Ramp on Property! 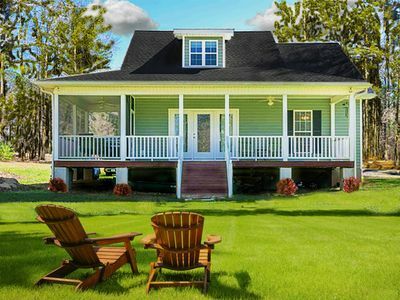 New Home with Sandy Beach. Military Discount! 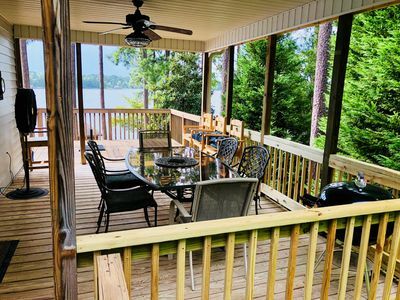 Come and relax in the most peaceful setting on all of Lake Sinclair. 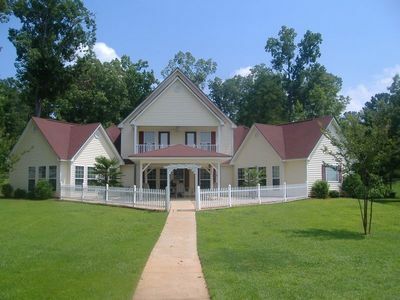 We built this home from the ground up in 2008 and it is the perfect retreat away from the bustle of everyday life. 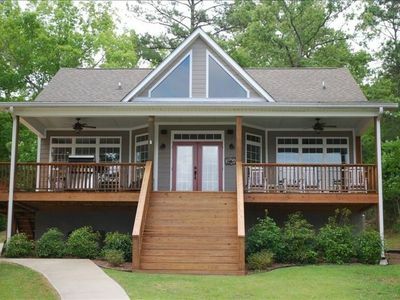 The home features 4 bedrooms, 2 Baths plus 2 buddy baths and comfortably sleeps 10. The master bath has a wonderful garden tub for relaxing after a fun day in the sun. The house is situated so that from the front rooms it appears the house is floating on water. 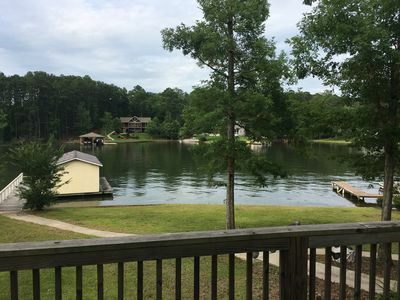 The common space and the master bedroom all have breathtaking views of wonderful Lake Sinclair. The interior is neutrally decorated with white oak floors and a large stack stone gas fireplace. The dining room boasts a large table that will easily accommodate all 10 guests at one time. The kitchen is well equipped with everything you could possibly need, including a gas cook top for the gourmet. 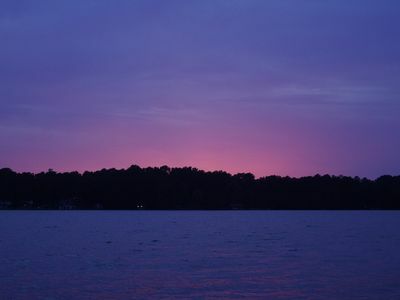 Our property is one of the few on Lake Sinclair to boast a sandy beach and a boat ramp! 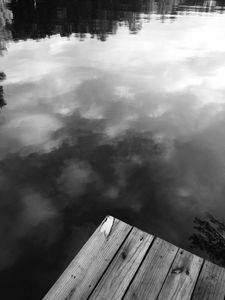 The dock is only about 30 yards from the house. 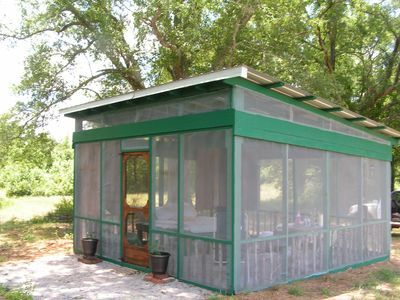 The full-size dock will easily supply ample lounging room for guests. 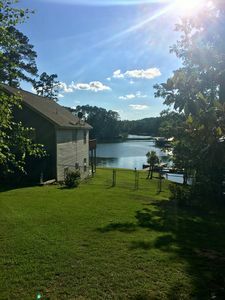 Feel free to launch your boat from the on-site boat ramp, there is certainly room to tie it up at the dock and the water is plenty deep at about 14' at the end of the dock! 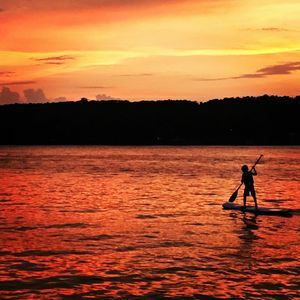 We are situated just across from Goat Island where you can enjoy a breathtaking evening sunset. 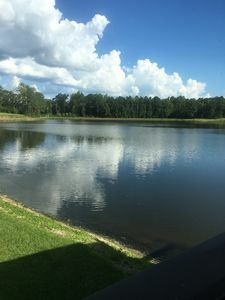 The water in front of the house is pretty quiet, but just on the other side of Goat Island is the big open area of the Lake. 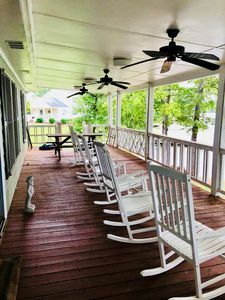 There are also 2 TV's, DVD, a large gas grill, and a huge front porch that extends the entire length of the house for just relaxing. 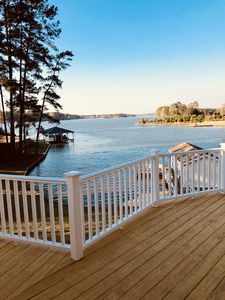 Please join us at our little peaceful oasis on Lake Sinclair. 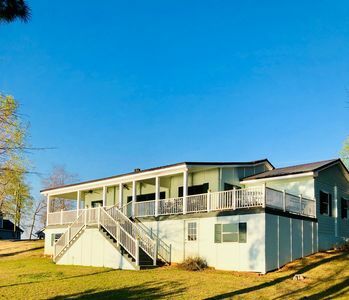 Spacious Hidden Beauty on Lake Sinclair with Winter specials available!! 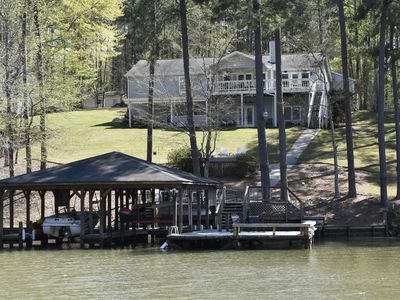 Secluded Lake Sinclair Home With Lake View And Boat Dock On Almost 2 Acres Land. 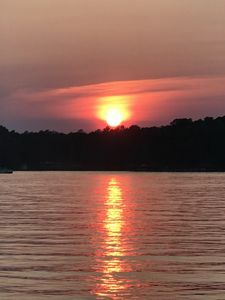 Remote Lake Sinclair cove DISCOUNTED summer rates!! 360 Degree View On Beautiful East Sinclair! Military and Police discounts! 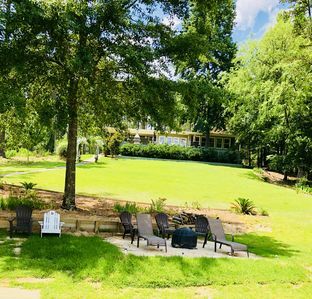 Island Creek Romantic Getaway includes 10% military discount! 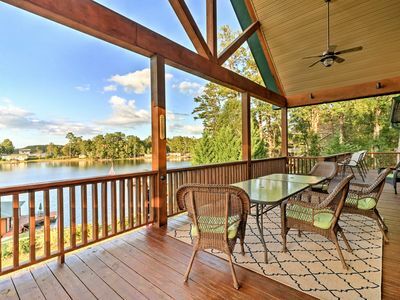 Luxury Lake Escape on Lake Sinclair! Sinclair Big Water Oasis! 10% Veteran discount! Snowbirds and Long Term Specials!! Veterans Discount! 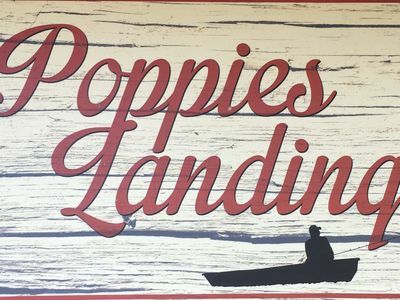 Poppies landing with amazing views!!! Super Sinclair View With Military Discount!!! Handicapped accessible. 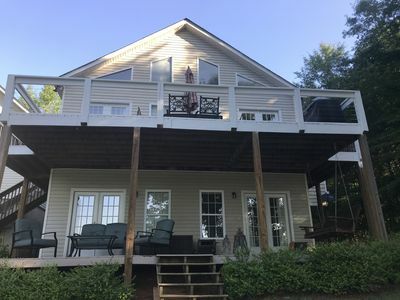 Spacious Lakefront Home on Quiet Deep Water Cove with Amazing Views!